You may remember this passage of scripture. Our reading for today shows up right after Daniel was removed from the Lions’ den. 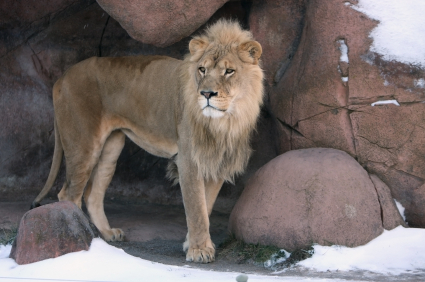 He had been put in the lions’ den because he was worshiping God instead of relying on the king. Some of the king’s servants had set Daniel up so that King Darius would have to punish Daniel for worshiping his Lord. Daniel didn’t succumb to the pressure though. He trusted that the Lord would see Him through. And Daniel was punished. He was put in the Lion’s Den to be killed. That didn’t happen, because Daniel trusted God and God closed the mouths of the Lions. Do you sometimes feel like you’ve been wrongly put in the lion’s den? Do you feel like you’ve been trying to do the right thing – faithful to God and family, but you seem to step in it at every turn? No matter what you do, it feels like everyone is attacking? We can relate to Daniel, can’t we. We might not have actual lions (and yes that would be way worse), but we do often feel attacked. I dare say the closer and more reliant you become on the Lord, the more often you will feel attacked. King Darius and Daniel were close. King Darius liked Daniel. He didn’t want to put him in the Lion’s den, but he did, because of his pride. But Daniel remained faithful to the Lord, and the Lord remained faithful to Daniel. He shut the mouths of the Lions, and Daniel was spared. King Darius was thrilled. He could no longer deny that there was one who was superior even to himself, the King. He recognized that Daniel’s God was responsible for shutting the mouths of the lions. Then King Darius sent word to everyone (all over the world) telling them they should trust in the Lord. What a witness he must have been for the Lord. What a strange and wonderful thing was happening here. King Darius was not fighting to up his standing, but instead pointed to God and gave God the glory. He witnessed and spoke to the people, encouraging them to have awe and respect for the God of Daniel. For he is the living God, enduring forever. His dominion has no end. He has saved Daniel from the power of the lions. King Darius had seen a miracle with his own eyes, and once he knew the truth about God, he couldn’t keep it to himself. In what ways has God helped you? What signs and wonders in your life can you point to that reveal the Lord to you and can be part of your witness to others? Here is a list of some of the things that the Lord has done in my life that are part of my belief and trust in Him. (I encourage you to make your own list of signs and wonders too). There are so many more, I could go on and on and on and on. I’m sure you could too. Each tragedy, each success can all point back to God. When we trust in God, it is easier for us to see how He is working in our lives. Sometimes it’s not as easy at the time, but as we come through it, it is often revealed what He was helping us to work on in the process. Sometimes we may never know. Daniel probably wondered why he had to go through being in the Lion’s Den, but then the Lord used it to His own glory. No less than King Darius was shouting God’s praises to the roof tops.